What is the Earlobe and Ear Procedures? We can do a great deal to improve the look and shape of your ears with our surgical procedures all of which are performed either entirely under local anesthesia or with the addition of minimal conscious sedation (twilight sleep). Following ear surgery our patients experience very little postoperative discomfort, short recovery periods, and almost universally satisfying results. We repair torn, elongated or misshapened earring holes in the earlobes. If you require your earlobes to be repierced following one of our procedures to repair your earring hole(s), we provide this for you at no additional charge. We have been very successful in restoring earlobes to normal appearance that have been severely stretched by even the largest diameter gauge earrings. 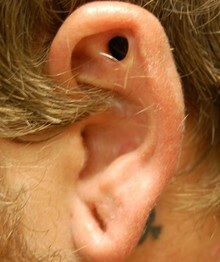 As in all our earlobe procedures, postoperative pain is negligible and recovery very quick with no loss of work. 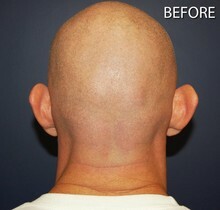 We can shorten and reshape unnaturally and undesirably elongated earlobes very easily, giving you a more pleasing look. 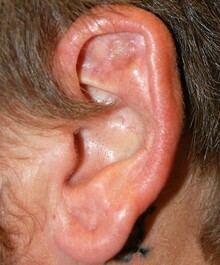 Not uncommon is a deformity of the earlobes that occurs as a complication of facelift surgery, known as “Pixie” ears. They take their name from the pointed elongated look of the earlobes resulting from being stretched towards the angle of the jaw as things heal following a facelift. We offer a procedure to correct this deformity, shortening and rounding the bottom of the earlobe making them look much more normal. Now with Artefill, our new long-lasting filler, we can restore more normal volume to withered earlobes that have lost their natural substance over time. This procedure is performed by a simple, safe injection technique. Outstanding or prominent ears, those that stick out abnormally far from the side of the head can be not only unsightly, but can result in adverse psychological consequences from years of thoughtless teasing from others. To correct this inherited deformity and restore the ears to a more normal position, we perform a procedure known as a set back otoplasty. Often, ears that stick out too far have more than one component that needs correction: the bowl of the ear is too big causing the ear to be prominent, an abnormal flattening of the upper part of the ear due to a lack of an “antihelix” crease, earlobes that stick out too far. The otoplasty can address and correct all these problems through an incision placed in the crease behind the ear where it joins the head. 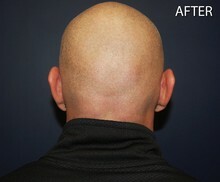 This incision heals into hidden scar that is imperceptible. While healing is longer than earlobe surgery alone, postoperative pain is minimal, recovery time very short, and the results – cosmetically very pleasing looking ears. Looking a lot like earmuffs, the EarWell is a new and novel external splinting device made out of soft silicone that when applied to deformed infant ears before the infants are 6 weeks old can reshape and correct many common external ear deformities. Such deformities include outstanding or prominent ears, Stahl’s ears, lop ear, helical rim deformities, etc. This is not a surgery procedure, but rather an application of a comfortable, painless appliance that when applied over the ears, gently molds them into a more normal shape over several weeks. The only alternative to this remarkable device is to do nothing, a wait-and-see approach with the strong possibility that surgery will be necessary years down the road should the ears fail to correct on their own. See www.earwells.com for more information.